Mount Elbrus – one of the 7 summits, the highest mountain of European continent. Its West summit is 5642 m high, the East one is 21 m shorter - 5621 m.
Mt. Elbrus is situated between the Black and the Caspian sea on territory of the Russian Federation, only 20 km from the Georgian border. Mount Elbrus is a dormant volcano. The last explosion occured about 2000 years ago. The two summits of Elbrus are in fact two craters of volcano. Everywhere on its slopes you can see debris of solidified lava. Iquest Outdoor leadership and adventure concultants Proudly invites you to one of the worlds best climbing expeditions. With many years of professional Mountaineering and Adventure experience , we invite you to join a truly professional and highly motivated team of trekkers. Note: Mineralnye Vody Is easily reachable by Flight or train from Moscow . Day 1. Meeting at Mineralnye Vody airport at 14:00. Our English-speaking guide will be awaiting you outside of the arrival hall at the airport. Bus ride (3,5 h.) to a mountain hotel in the Baksan valley near the foothills of Mt. Elbrus. There are twin and triple rooms in the hotel, with toilet and shower. Single accommodation may be available for additional cost in case there are vacant rooms in hotel or if you ordered that in advance. Overnight at the hotel (2300 m/7546 ft). Day 6. Summit day. We leave the refuge about 3 a.m. for the climb of Elbrus' west summit, 5642 m (18,510 ft). It is possible to hire a snow-cat (Ratrak) for a group. This vehicle carries climbers (12 people) up to Pastuckhov rocks and saves 4 hours and a lot of energy. Generally, for an average group, it takes about 9 hours to reach the top and 5 hours to come back to the hut. Invitation letter for visa. We send this to you as soon as we get your deposit and passport copy. Visa fee is additional. Local registration for foreigners according to the Russian law. Group transportation from Mineralnye Vody Please, notice that our group transfer from the airport Mineralnye Vody on the 1st day is scheduled for 14:30. This means that you need to arrive before that time. On the last day we'll bring you to the airport to be in time to check-in for flight SU1305 which departs at 11:35. If your flight departs later you'll probably have to wait at the airport for some time or to order a private transportation. You'll also need a private transportation in case your flight departs before 11:35. Bakson - twin or triple accommodation with breakfast. Base camp - tents, High Camp - huts. All food on the mountain (cook services included). Guide. One guide for the group throughout the tour. One mountain guide for three-four people for the summit attempt (1/3-4 guide/client ratio). One summit attempt with guides. Group equipment (ropes, ice screws etc.). Hire of personal equipment (such as sleeping bag, boots, crampons etc.). Porter services for personal belongings. Food, gas, tents and public equipment will be carried by our porters. You will have to carry your personal belongings from the base camp up to the high camp. This will be done in two carries. 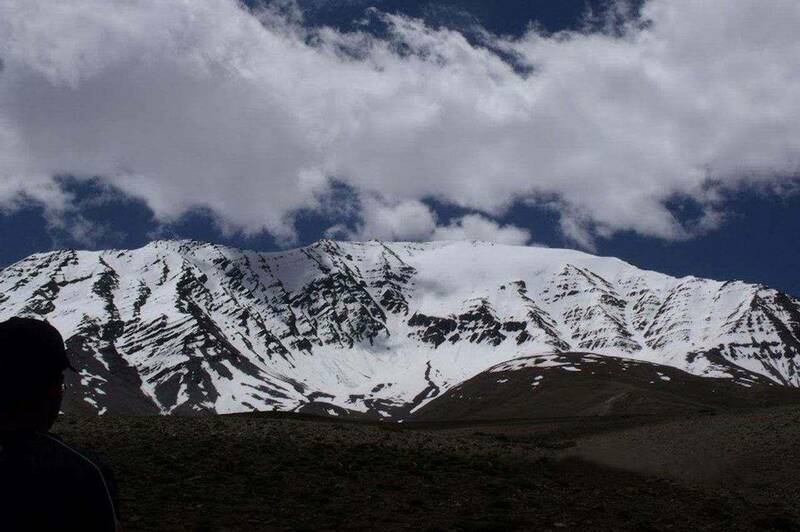 Normally, active acclimatization is very helpfull and enhances your chances to reach the summit. But if you feel tired you can hire a porter for only 50 euros. You can make decision on the spot and ask your guide to find a porter before you leave the base camp. Single occupancy at hotel or in tent. If you don't want to share your space with somebody you can pay 60 euro extra for hotel and 35 euro for tent and enjoy single accommodation. Private transportation from/to airport MRV. In case you arrive after 14:30 on the 1st day or need an individual transfer on the last day we'll arrange a taxi for you. That will cost 25EUR/ 30USD for 1 - 3 people by day time. Note There is an option to hire ‘snowcat’ during the climb , this is an additional cost and can be decided as a team , this vehicle can take us much c;loser reducing the climb time from 9 hrs to about 5 hrs. this is optional. Detailed packing list, will be sent to the cheap rolex replica confirmed participants . Looking forward to have you in the great Climbing expedition team and make it a lifetime memory like our other expeditions.